In a mystifying case of “What the hell is going on?!?! 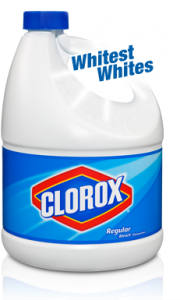 ?”, some parents are now taking to bleach as a cure… forcing their children to have a bleach enema to clean the autism out of their system. Please be sure you read those, or at least, some of those articles, before proceeding. How in the world can a person go from “trace amounts of toxins in vaccines, too small to see, are harming our children” to “here honey, let’s put this stuff in you that CAN KILL YOU!”? I just can’t fathom this way of thinking. I mean, how desperate can a person be to forcefully make their child sick? I mean, there’s a good risk of outright killing the child and yet this is somehow worth curing autism? 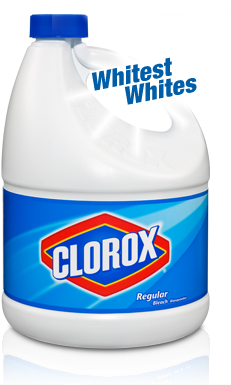 How badly must a person hate their child that they force them to drink bleach? Please please please PLEASE don’t ever have bleach anywhere near your child! It doesn’t matter who tells you try it… just don’t! A recent news article surfaced in which two people kept their two children in a caged room, without clothing or anything, for up to 16 hours a day.. and they were charged for it. They were found not guilty in the end, but a LOT of people felt that it was abuse. There are many more cases like this, such as a school that placed a boy in a box for several hours because he was pacing and not listening to his teacher. Then, some of these people turn around and give their child a bleach enema?? I just don’t get it because to me, forcing this bleach thing is far worse than putting them in a cage. It’s much more a form of abuse since it does them physical harm (not to diminish the effects of psychological harm done by imprisonment). Anyway, I just don’t get how a parent can get mad at doctors for putting harmful substances into their child and then put something so very obviously dangerous into their child themselves. I also don’t get how a parent can hate the hurtful things that others do to their children and then turn around and force bleach into their child, something that can kill them. I also don’t get how this is legal. I don’t get how these people aren’t being arrested for this. Is it because a doctor told them to do it? Does that make it ok? Because I don’t think it does. I don’t think it matters who tells you to do it, putting bleach into a child is wrong. If I saw a parent doing that to their child, I’d call child services on them immediately and demand that the child be removed from their care. I’d also be phoning the police. I don’t care what doctor told them it’s ok to do it. I don’t get it either. Whatever happened to loving a child no matter what? We have had autism in our lives for 15 years now, and I really did think that I had seen it all, the insane, barbaric and downright abusive ‘treatments’ and ‘cures’ that have been banded about over the years. This though, has got to be the worst that I have come across. I completely agree with you, parents who do this to their children are physically and emotionally abusing their children. They should be charged and their children should be given the opportunity to live a life free from abusive measures taken by idiotic parents. Why are the authourities not doing anything to stop this? Why are the parents so intent of trying to get rid of their childs autism rather than embrace and love their child and providing support to help them achieve their potential? Thank you Stuart for bringing this to our attention! Taking Poison in small amounts is standard medical practice .. for example it is now common fro Warfarin to be used as a blood thinner or anticoagulant for heart attack prospects or victims.. A more common use historically for Warfarin is use a RAT POISON .. causes internal bleeding to death.. Hooray for modern medicine ?? maybe the bleach ( in correct amounts ) does help.. Would you all feel better if a doctor prescribed it and Pfizer sold it as medicine at $100.00 an oz??? I reported a woman with untreated mental issues, who was giving her autistic son cycles of MMS Solution (which she used herself) to CPS of Arizona last year, and like many other cases,they buried it. However, when Gov. Brewer abolished CPS this year and formed a new agency, they thankfully reopened the case, and are actively pursuing the matter.